These bacon, corn and capsicum fritters will bring everyone to the table. Combine onion, bacon, corn, capsicum, peas, basil, cheese and flour in a bowl. Whisk buttermilk, egg and sweet chilli sauce together in a jug. Add to onion mixture. Stir to combine. Heat oil in a large frying pan over medium-high heat. Using 2 tablespoons batter at a time, cook in batches of 4 for 3 minutes each side or until golden and cooked through. Transfer to a plate lined with paper towel. Cover loosely with foil to keep warm. 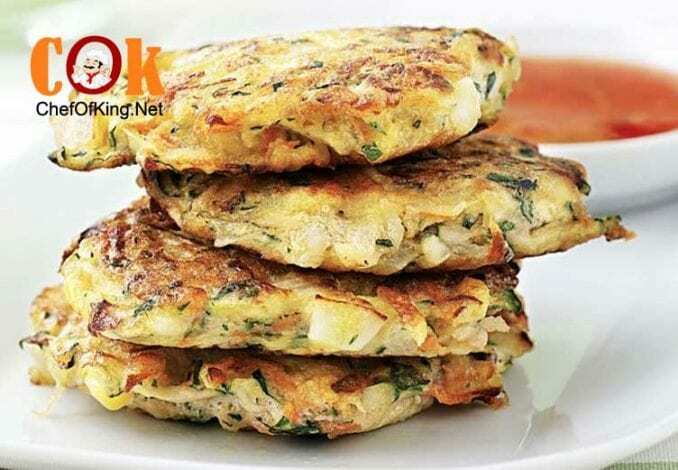 Serve fritters with sweet chilli sauce, lemon wedges and basil. Tip: You could use 1 cup frozen pea and corn mix instead of canned corn and frozen peas. Budget tip: Replace rindless shortcut bacon with middle bacon rashers and save around $1.13 in total. You could make mini vegetable fritters for entertaining. Use 1 tablespoon batter per fritter. Cook for 2 minutes each side. Serve with sweet chilli sauce for dipping.